« Tough Mudder Cake – Ganche Mud! This weekend I created the cutest cake for a one year old with a smash cake to match. 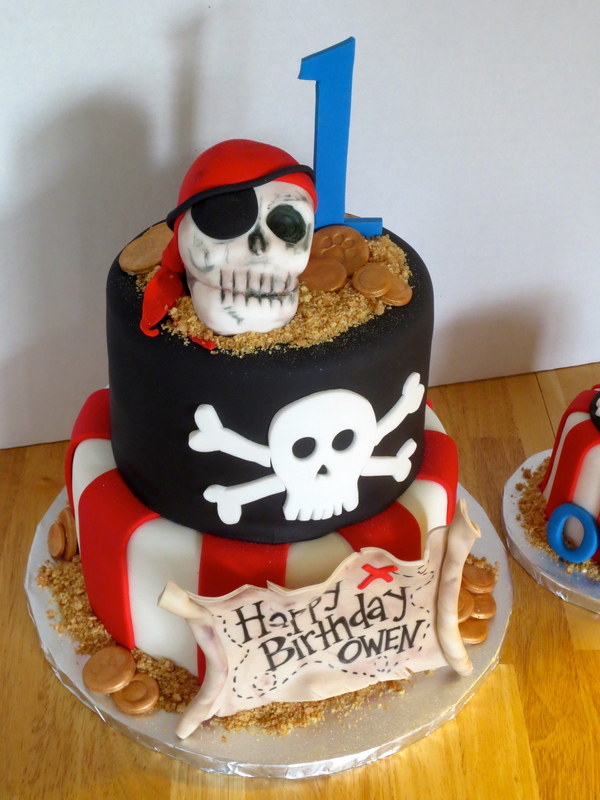 The theme was pirates and the colors were red, black and white. Everything on this cake was edible and so fun to make. 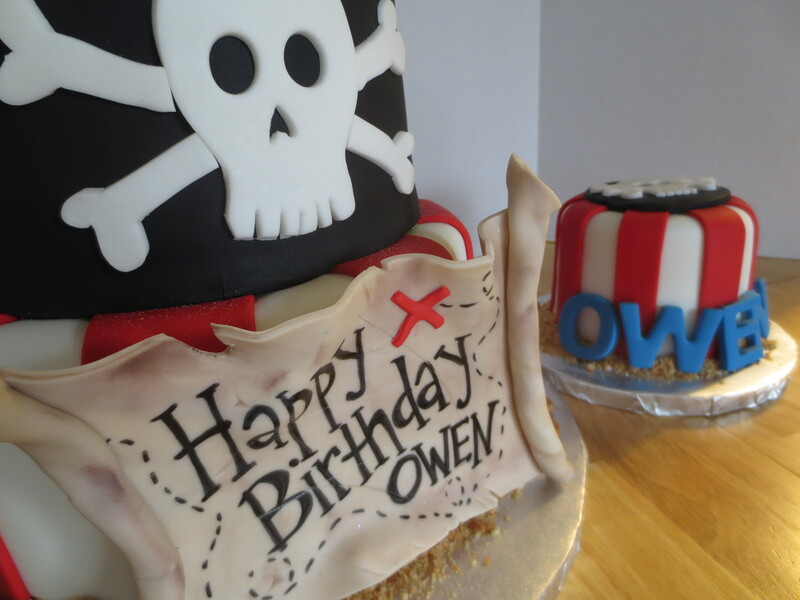 I created the “One-Eyed Willie” pirate skull out of rice krispies treats and covered in fondant. I think he was a bit scary for a one year old but he was cool at the same time. The map banner was made of fondant and distressed with ripping and notches. I marbled the fondant to give it an old look and hand painted the lettering and directions. 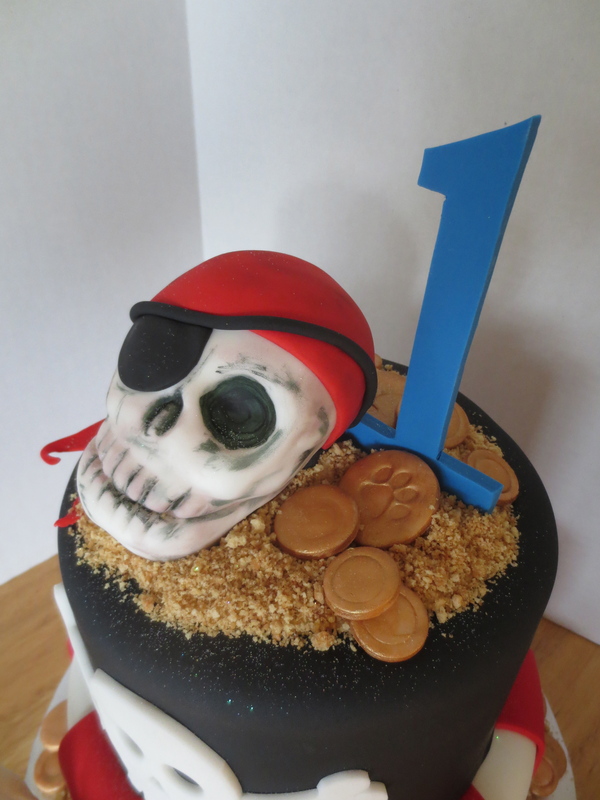 The skull and crossbones were hand cut and the coins were also fondant painted with gold luster dust. And last, I used crushed graham crackers with a bit of butter for the sand. 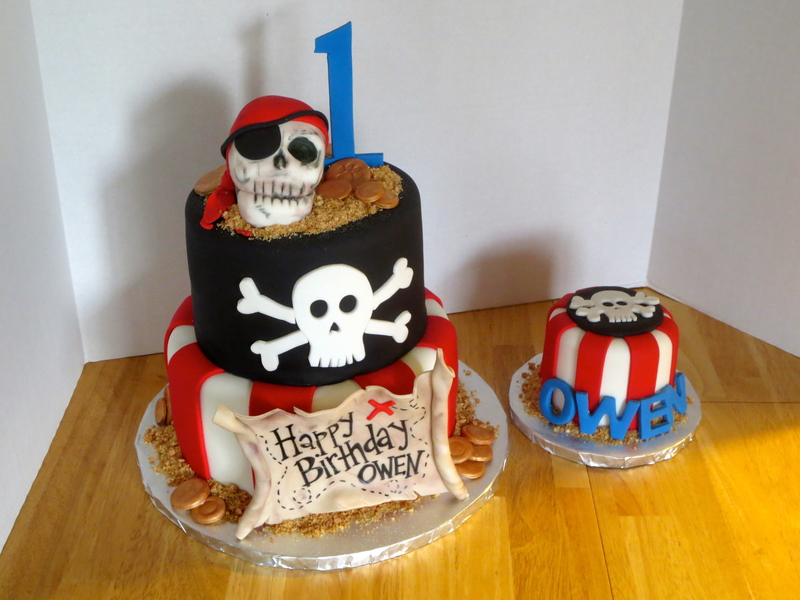 The cake sizes were a 9 inch bottom, 7 inch top and 4 inch smash cake. 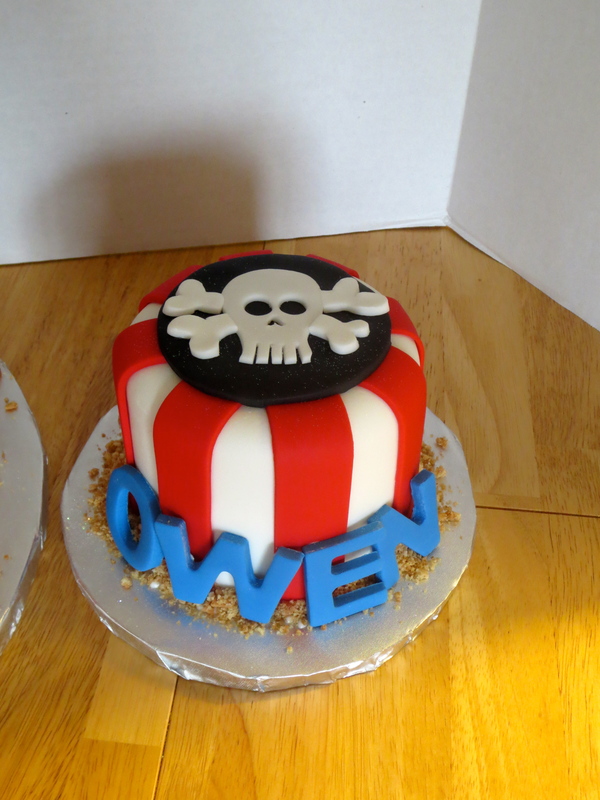 I used red stripes and a skull and crossbones on the smash cake to mimic the big cake. I used the color blue in the letters and the #1 to break up the red, black and white. This gave the cake a better look and composition.